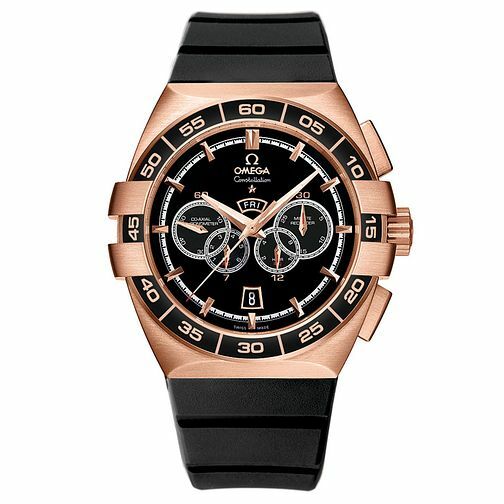 From Omega's Constellation collection this men's Double Eagle chronograph has a self-winding movement with Co-Axial Escapement. The watch features a black rubber strap for maximum comfort, teamed with a round black dial sealed with scratch resistant sapphire crystal. Finished with a sophisticated 18ct yellow gold case and detailing.